Diabetes mellitus is a disease that can be difficult to manage and requires high levels of health literacy and numeracy, self-monitoring and frequent contact with clinicians. 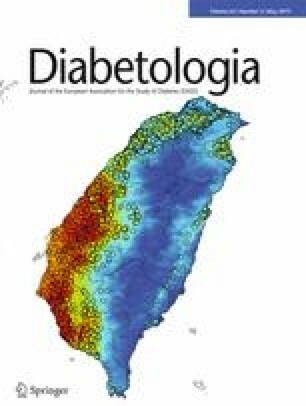 If not optimally controlled, diabetes can lead to kidney failure, blindness and cardiovascular complications, which, in turn, contribute to increasing healthcare costs. Although not yet widely used, mobile health (mHealth) tools have enhanced diabetes management and prevention and are likely to play an increasing role with the growth of smartphone ownership and medical device innovations. Recent mHealth interventions targeting type 1 and type 2 diabetes are diverse in their goals and components, and include insulin management applications, wearable blood glucose meters, automated text messages, health diaries and virtual health coaching. In this paper, we review the modalities and components of various impactful interventions for insulin management, diabetes education, self-management and prevention. More work is needed to investigate how individual demographic, socioeconomic, behavioural and clinical characteristics contribute to patient engagement and the efficacy of mHealth tools for diabetes. The online version of this article ( https://doi.org/10.1007/s00125-019-4864-7) contains a slide of the figure for download, which is available to authorised users. RS contributed to the literature search and writing the manuscript. SS and SSM contributed to writing the manuscript and revising for intellectual content. All authors approved the final version. RS and SS report no conflicts of interest. SSM is a founder of and holds equity in Corrie Health, which intends to further develop the digital platform. This arrangement has been reviewed and approved by the Johns Hopkins University in accordance with its conflict of interest policies. SSM also reports receiving personal fees for serving on scientific advisory boards for Amgen, Sanofi, Regeneron, Quest Diagnostics, Akcea Therapeutics, Esperion and Novo Nordisk, as well as grants and research support from the PJ Schafer Cardiovascular Research Fund, the David and June Trone Family Foundation, American Heart Association, Aetna Foundation, Maryland Innovation Initiative, Nokia, iHealth, Google and Apple.